REGISTRATION OPEN FOR SEPTEMBER CLASSES! Register Now! Classes taught by Erik Montague. Erik has been studying acting for over ten years. He graduated from the University of Montana with degrees in English - Creative Writing and Theater with an emphasis in acting. After graduating, Erik toured the United States with Missoula Children's Theatre for over two years, traveling to 25 different states and 84 separate communities, and he taught over 5,000 kids (including adults), an hour long musical in a week. After that, he moved to Portland, OR where he works as an actor, teacher, teaching artist for Northwest Children's Theatre. Erik is also a marketer and photo editor for multiple Portland-based companies. He is thrilled to be a part of Vision8Studio and to be doing the work he loves and is passionate about! ​All Classes Have LIMITED SPACES! Ever wanted to be able to fully flesh out a character as an actor? In this fun, interactive class, participants will get into the head of certain characters and hone their skills as an actor. 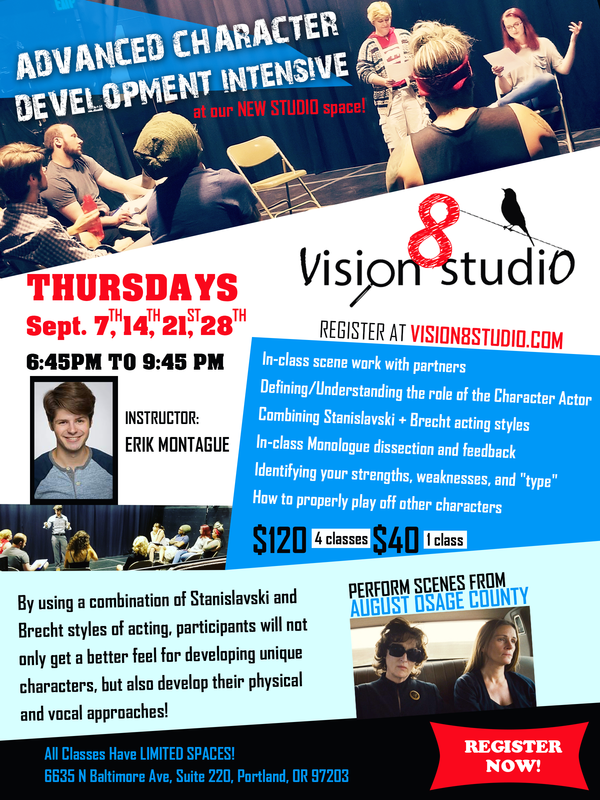 By using a combination of Stanislavski and Brecht styles of acting, participants will not only get a better feel for developing unique characters, but also develop their physical and vocal approaches! 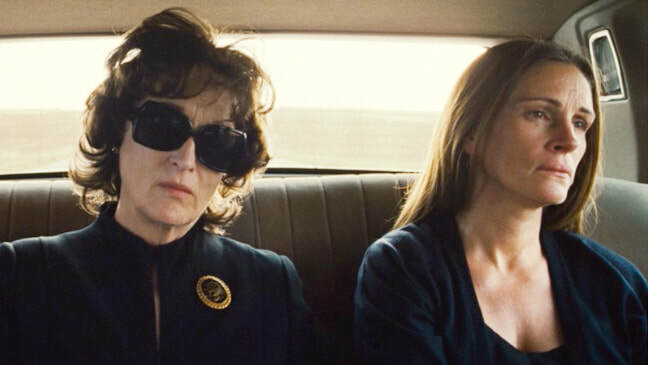 SEPTEMBER - PERFORM SCENES FROM AUGUST OSAGE COUNTY! Identifying your strengths, weaknesses, and "type"